The CB-30 is a new mini balun from Comelit which allows transmission of standard composite video signals to be run over Cat5 UTP cable. The CB-30 has a slim form factor which makes it nonobtrusive for use with DVRs and CCTV Cameras. These come in a 2 pack and are an exceptional value. 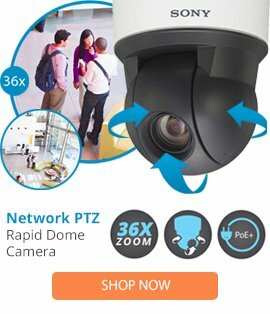 FEATURE HIGHLIGHTS: Quick and cost-effective way to connect CCTV cameras via UTPCAT5 / 6 wires, B/W video signal up to 1,800ft, Color up to 1,200ft, Surge protection with Ground connection, Quick and secure connection via pressure tab, Passive, no power required, Compact size, fits multiple Baluns directly on the back of DVR, Must be used in pairs, one for transmitting and one for receiving.